One of my main goals with having a blog is to record a bit of what’s changed. How I got from A to B. Like the log of a ship; or Jean-Luc Picard explaining why the Klingons are at it again. In the past I’d title these things like ‘quick update’ but giving it a bit of formality seems nice. Going to try doing these at the end of each month for a while. Grace has taken to scooting around everywhere. She still shows little interest in crawling or walking but the doctors say it’s still too early to worry. Her hips are recovering well from the hip dysplasia that had her in a spika cast for 11 weeks last year. Amber is training for the mini-marathon, and I’m doing well with Pavel Tsatsouline’s Power to the People workout of deadlifts and side presses. I’ve also started jogging a bit so that I can run the Throo the Zoo 5k again in the spring. Started at Week 4 of the C25k program instead of the beginning and that seems to be working out fine. 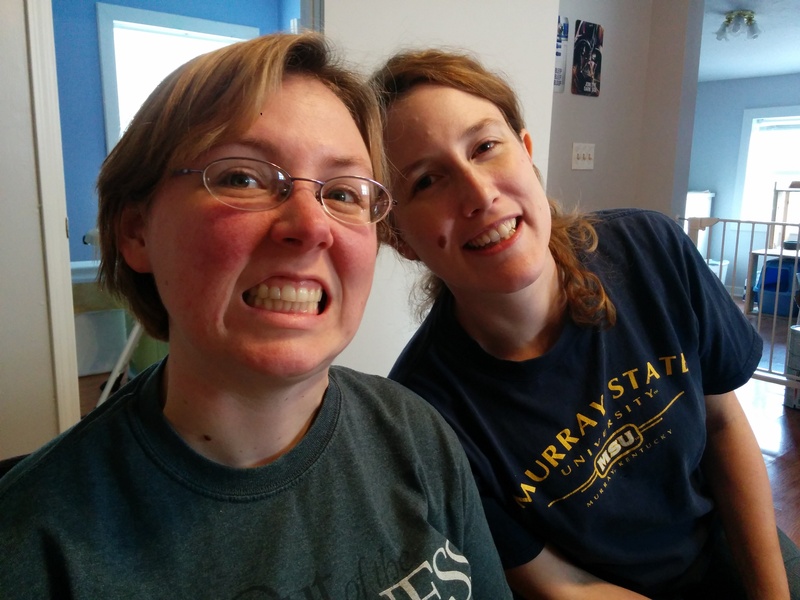 We played D&D only once in February – our 2nd event pivoted to board games as some folks schedules ended up getting in the way. 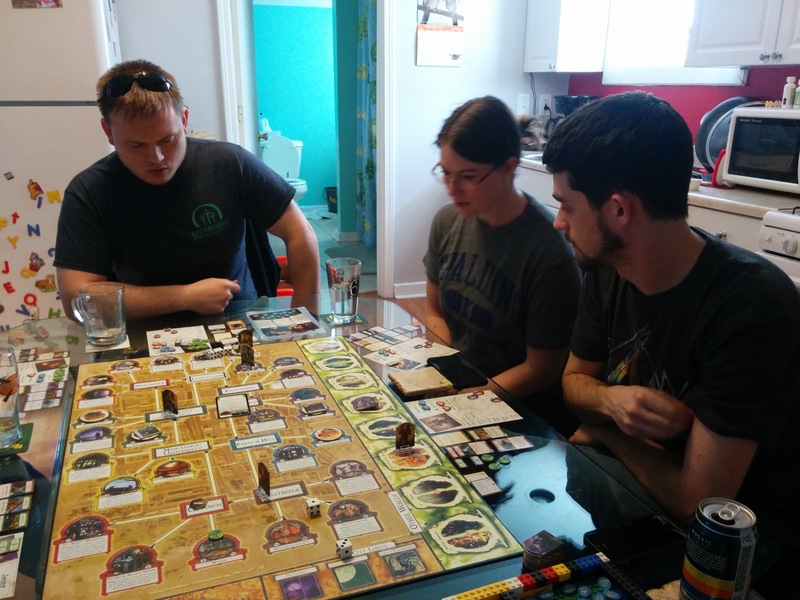 So we played Arkham Horror with the folks that could make it. Even then, it ended early with no clear victory or loss in sight. Schedules really get in the way of gaming sometimes. Ber also DM’d a one-shot I wasn’t invited to. Shucks. 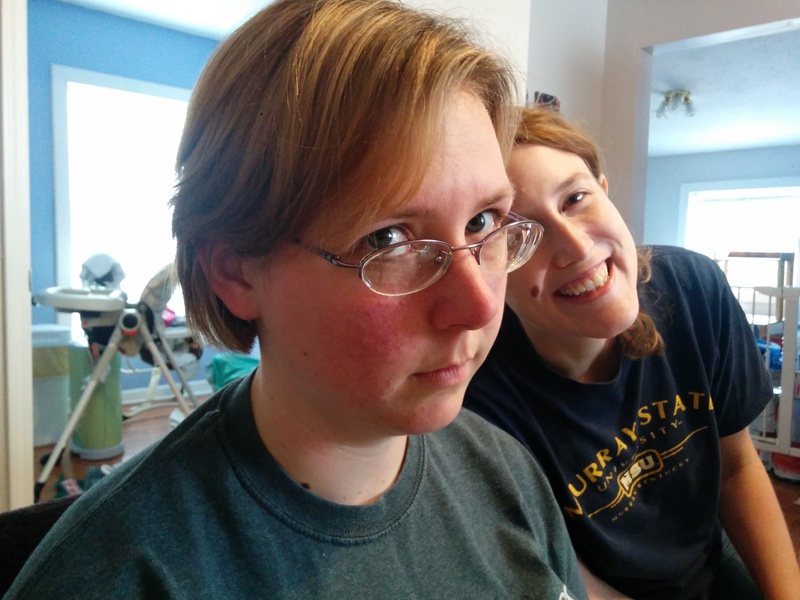 We lost our first attempt at “May” of Pandemic Legacy: Season 1. We were due for a loss, as we’d won every play except the very first. Loving the storyline though! This game lives up to the hype. At the beginning of February I spoke to a group of students at Central High School about how to use WordPress.com. A couple weeks later I spoke about the landscape of career opportunities and the WordPress community at Sullivan College of Technology and Design. Then a couple days later, I ended up leading the Louisville WordPress Meetup about running an online business with WordPress. That’s a lot of speaking engagements all in one month. Casey Neistat’s vlog recently ended and I had only ever watched it occasionally. Now that he’s not updating daily anymore I’ve been watching it all in chronological order. Abstract on Netflix is kind of like Chef’s Table but for designers instead of chefs. Enjoyed every episode; loved the ones about Tinker Hatfield and Paula Scher. Don’t normally play video games, but wanted to play one on a whim. Bought FTL and have really enjoyed it. It would even better on an iPad. Can’t stop thinking about the Cal Newport books I recently finished, So Good They Can’t Ignore You and Deep Work. This counts as screens because it was on the Kindle. Still prefer Kindle to paper books any day. Last night I took over the Chromecast and we watched Magnus and Stop at Nothing: The Lance Armstrong Story. More live chats! Come chat with me. More emails! Lots of ’em. Yup, it’s new for me too. A few times a week I do a screenshare with a WordPress.com Business Plan customer to answer any and all questions about their site. CSS customizations, SEO tips and tricks, a crazy theme setup, I’ll do it all if that’s what they ask for during our 30 minute session. It’s been a fun addition to my day. I haven’t written one yet, but a bunch of Automatticians are writing posts about their typical work day. You can read them here: #a8cday . Maybe I’ll get around to one. I did spend about 30 minutes today thinking about what my typical workday will look like in March – I feel solid about it.